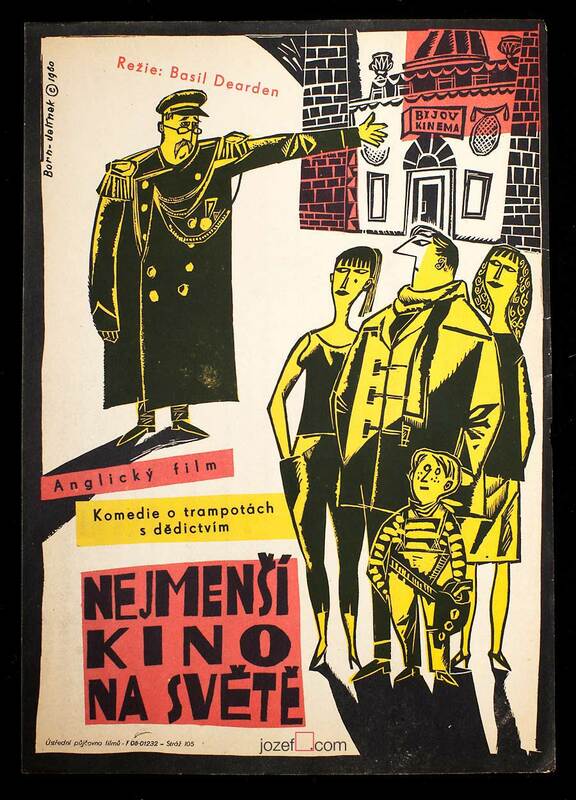 Home / Film posters / Made in Czechoslovakia. The story of film posters. Take 1. 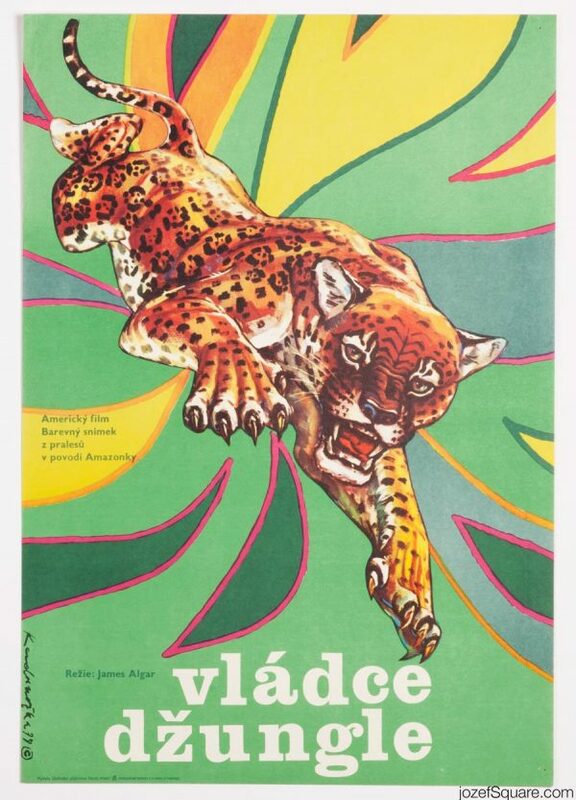 Film posters / Made in Czechoslovakia. The story of film posters. Take 1. Film posters in history. Poster story in few takes. 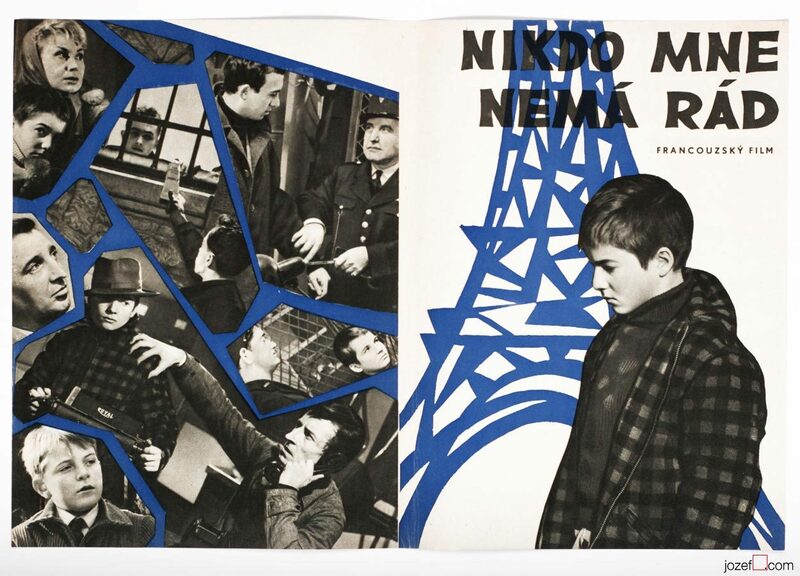 The 400 Blows / Francois Truffaut, movie poster by Josef Hvozdenský, 1959. It was not happening after that either, but things were a bit smoother and significantly moving towards lots of explorations. The Eleventh Commandment movie poster by Unknown Artist, 1935. 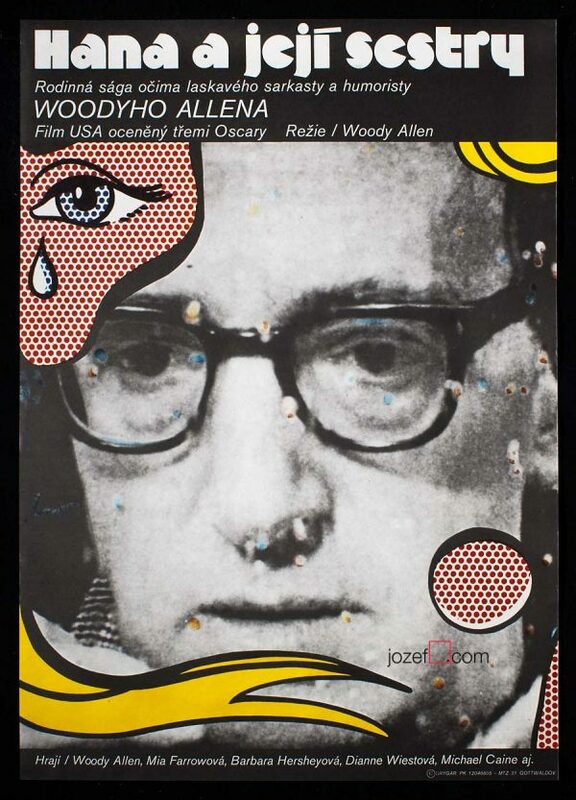 If a Thousand Clarinets movie poster by Unknown Artist, 1964. 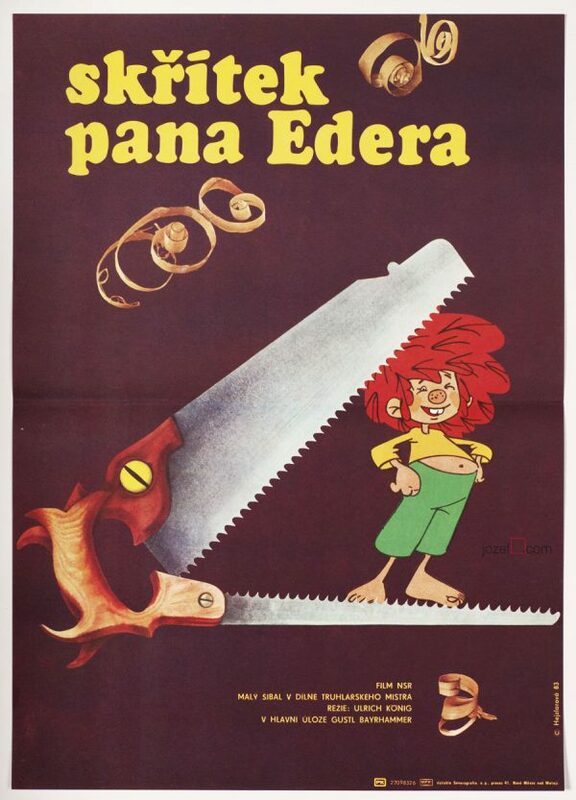 • typical early example of the “Noodle” shaped film poster, returning as an idea back in 60s without any further success. 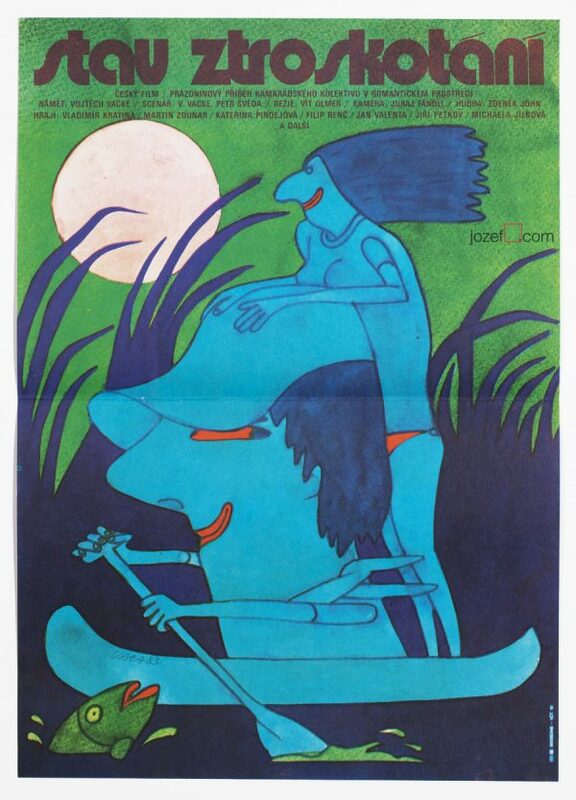 Christian movie poster by Unknown Artist, 1970. 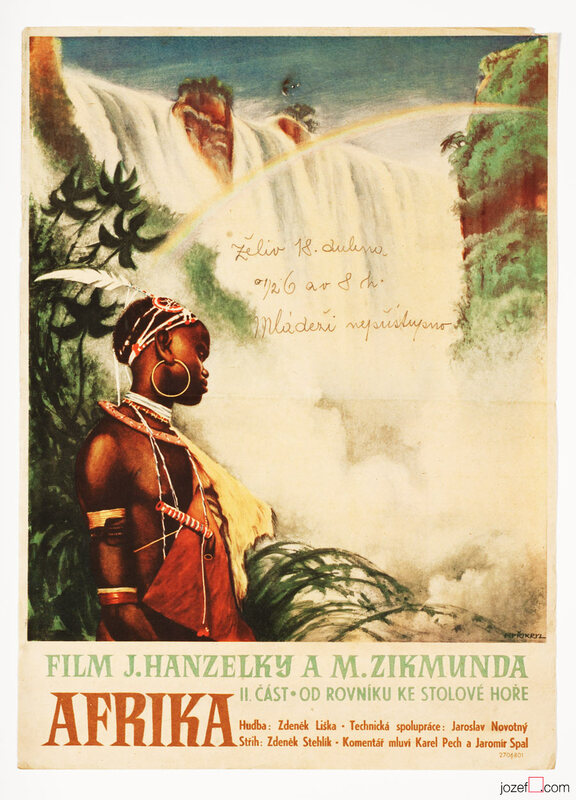 Africa II movie poster by František Přikryl, 1952. 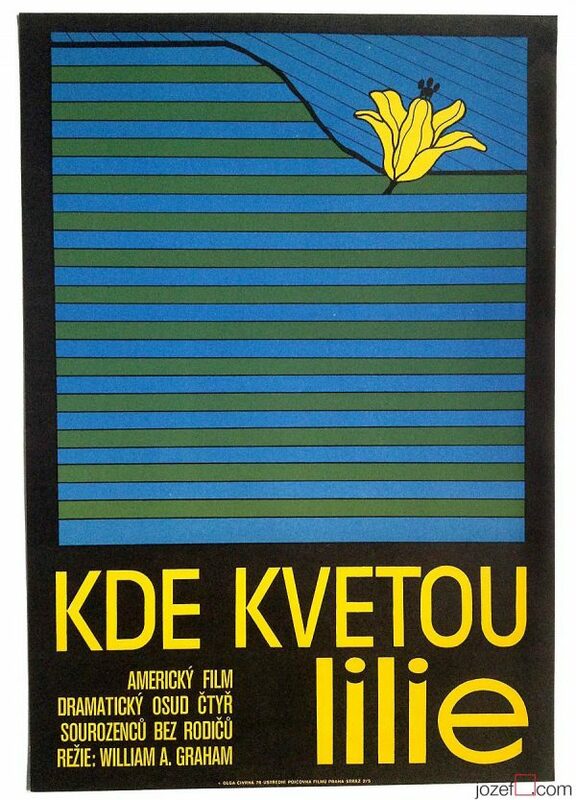 • film posters following old poster traditions. 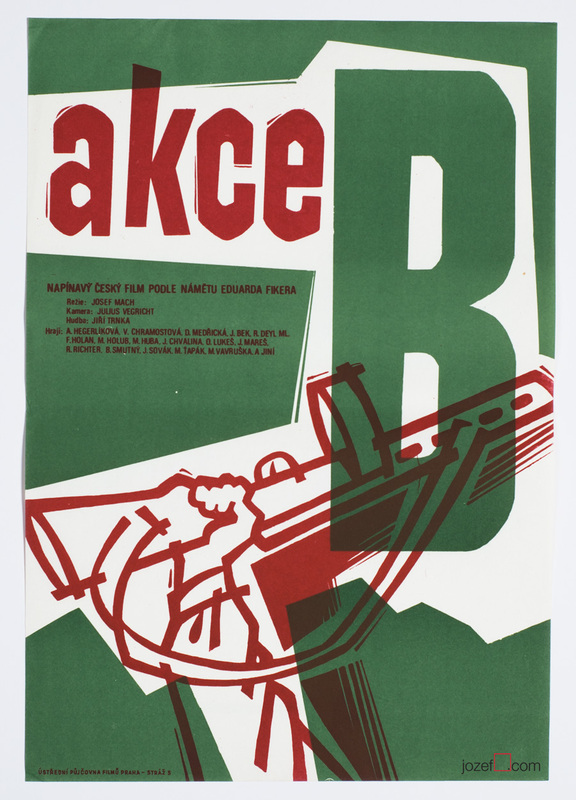 Action B movie poster by Unknown Artist, 1951. Irene, go home! movie poster by Unknown Artist, 1956. 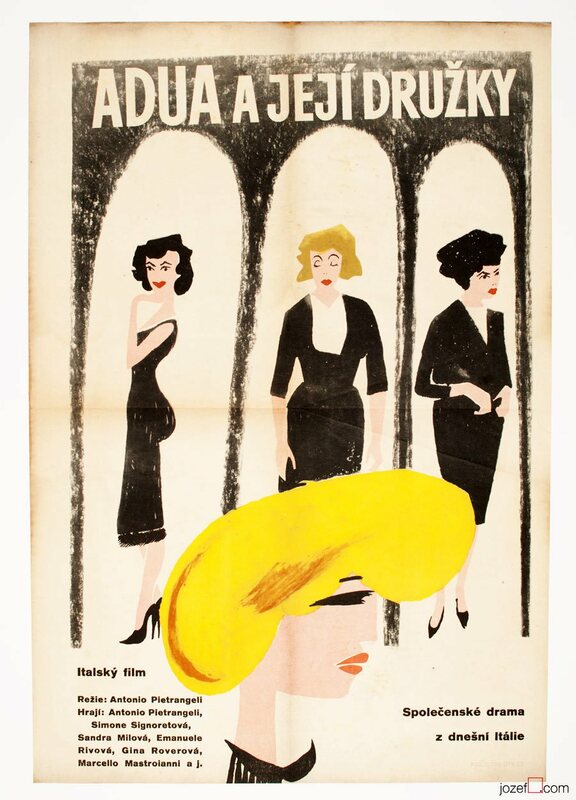 • 50s film posters came very rarely with the signature. 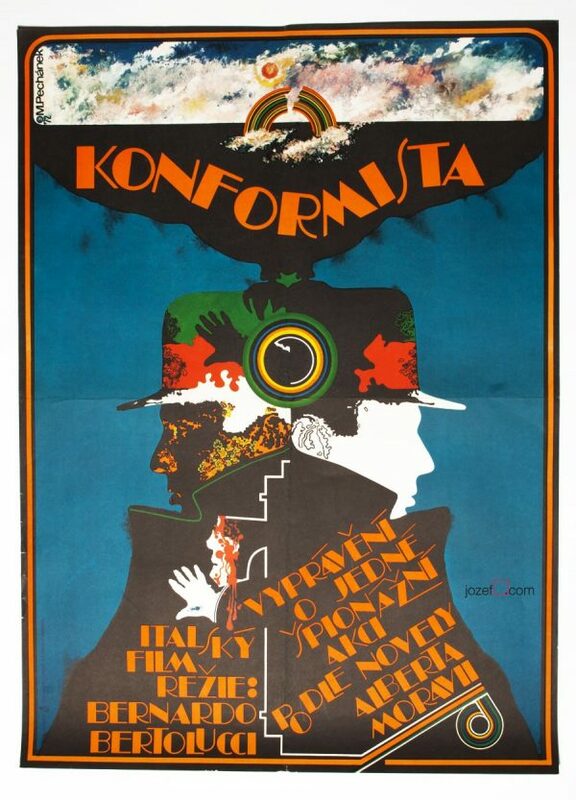 Early days of film posters. Unhealthy political regime in Czechoslovakia had very strong impact on cultural distribution within the country. Country was perfectly sealed off. Presence of cold war was also effecting the possibilities of any official cultural exchange. Art making was going through all kinds of metamorphosis, but in reality it only had one face. That face was called Social Realism and it had very clear, strong and long lasting statement. Visual disillusion would chase one everywhere. And if a little flag was’t displayed on the window seal on the 1st of May, one would be chased by someone else, too. Simply put; politicians were using art for their own propaganda and there was no way around it. Or maybe there was? Whence and Where to? movie poster by Unknown Artist, 1956. 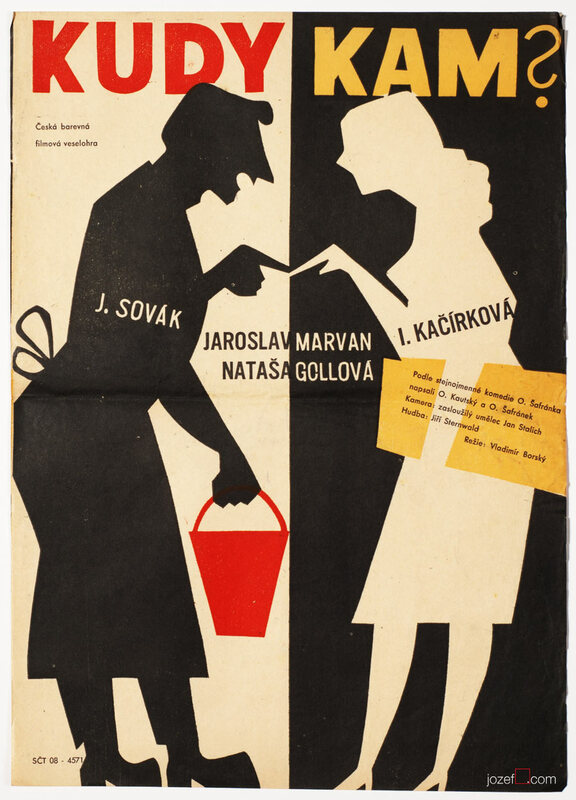 The Bigamist movie poster by Unknown Artist, 1957. 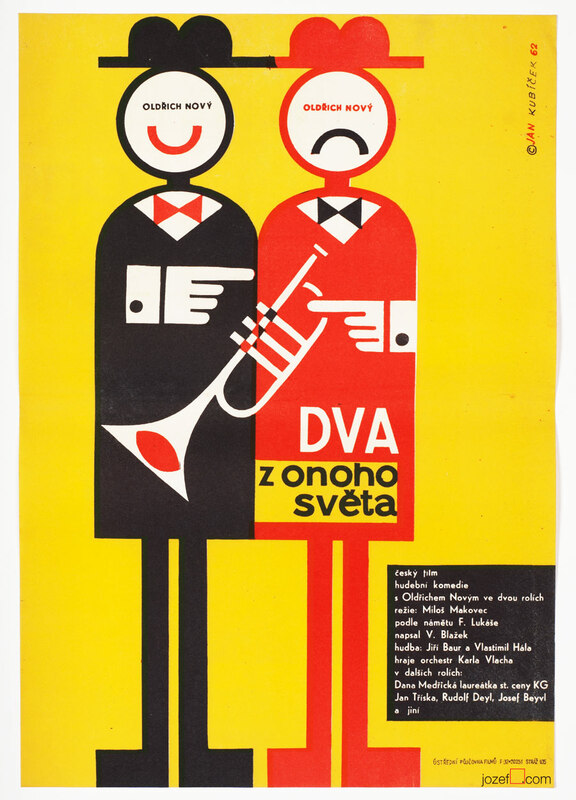 Comedians movie poster by Vladimír Šmerda, 1959. 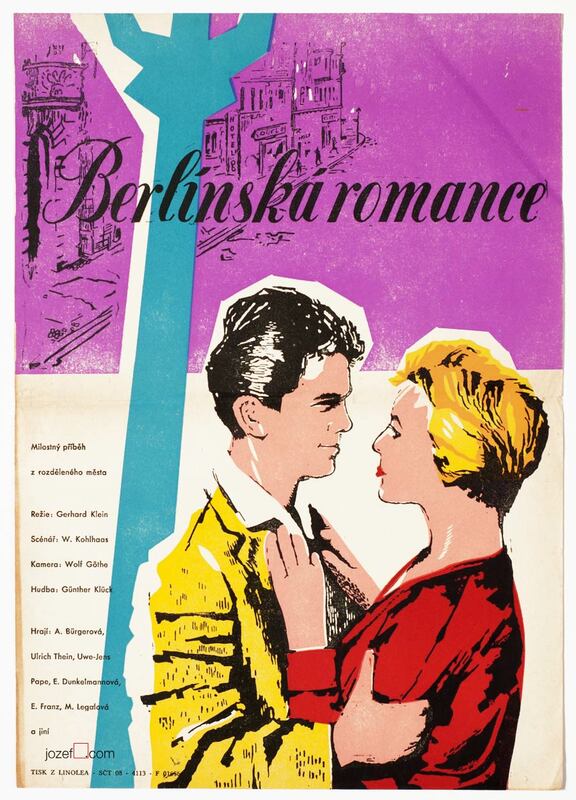 Berlin Romance movie poster by Unknown Artist, 1956. Endstation Liebe movie poster by Unknown Poster Artist, 1959. 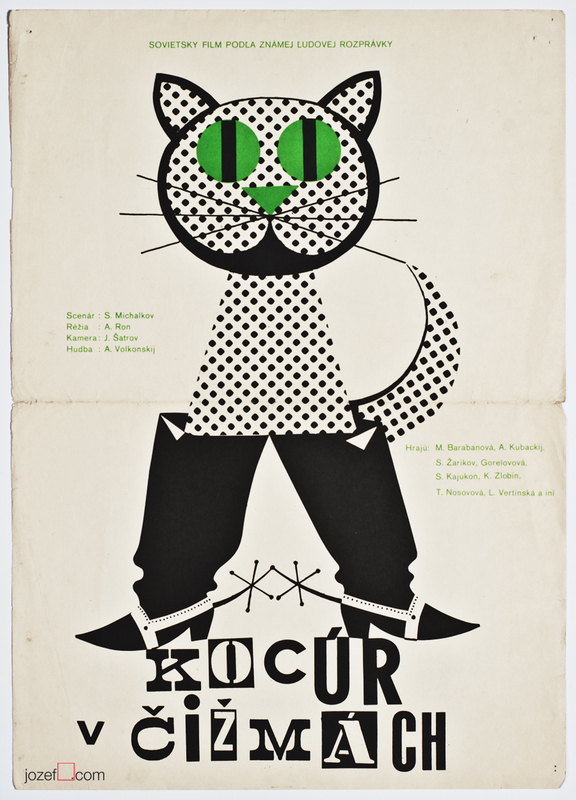 Puss in Boots movie poster by Unknown Poster Artist, 1958-68. • fascinating starts from the “old school” representatives. Many artists were trying to cover the new medium. By the end of 50s poster still did not have that film look. 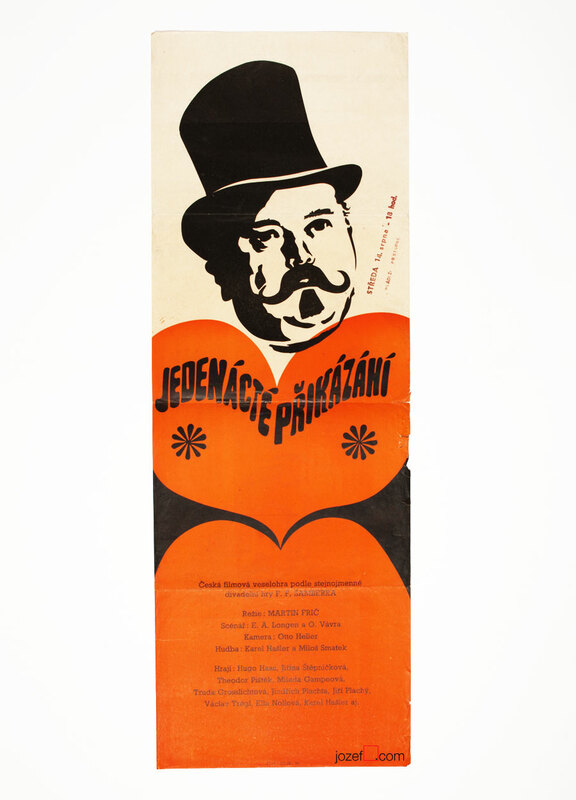 Film poster in Czechoslovakia was also going through many changes before it meets the doors of collectors and film festivals. 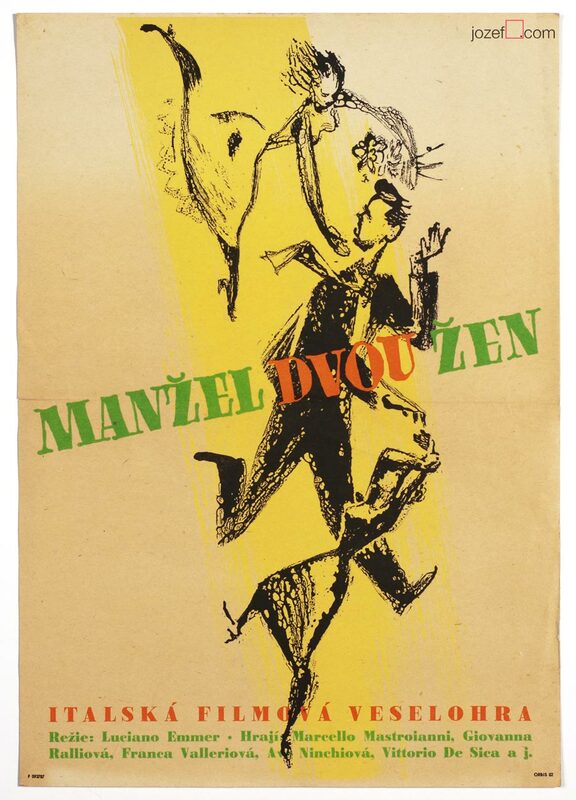 All sorts of artists were trying out to fit the new medium, but it was not until early sixties when fresh new ideologies were presented in both films and similarly in film posters design. 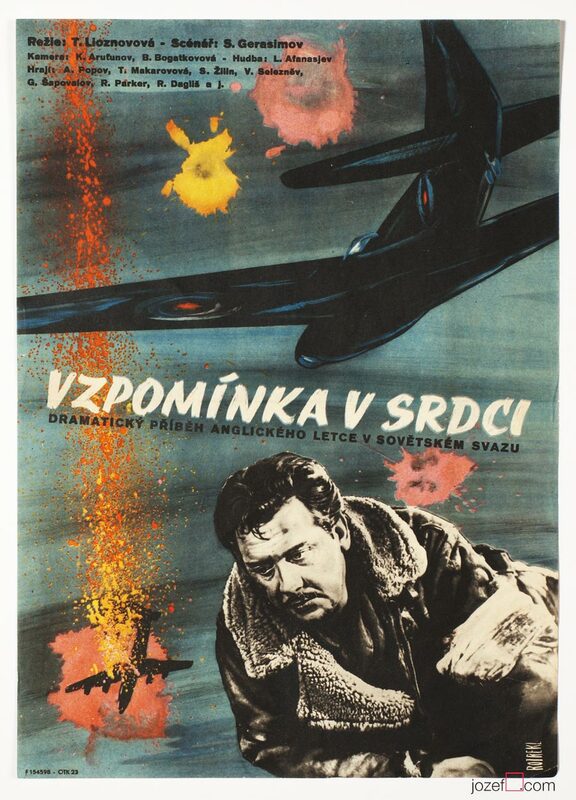 Poster designers had it very hard to make pleasing posters for bad propaganda or WWI-II films at the beginning. Significance of EXPO 58 and sudden interest of politicians in foreign currency from the fresh source1 turned a blind eye on art scene ever since. Censorship however remains necessity. The Smallest Show on Earth movie poster by Adolf Born, 1960. 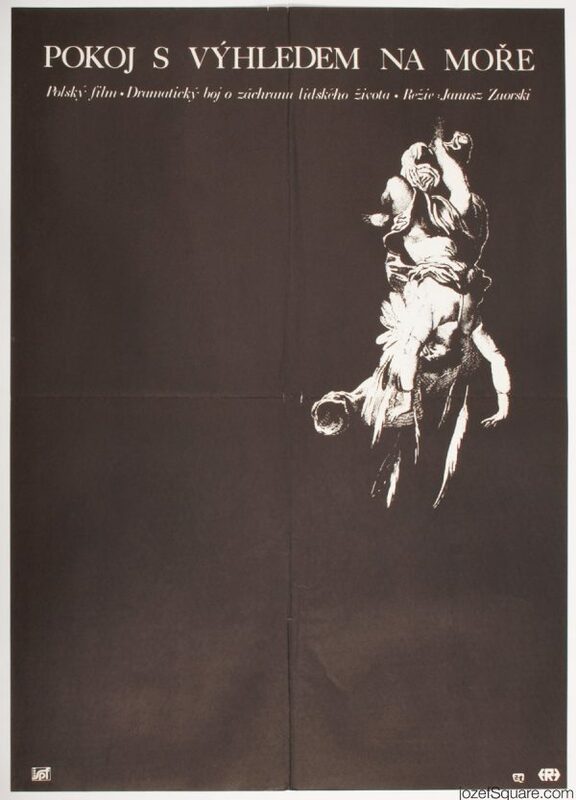 Virgin Soil Upturned movie poster by Adolf Born, 1960. • Adolf Born is getting involved in poster making. 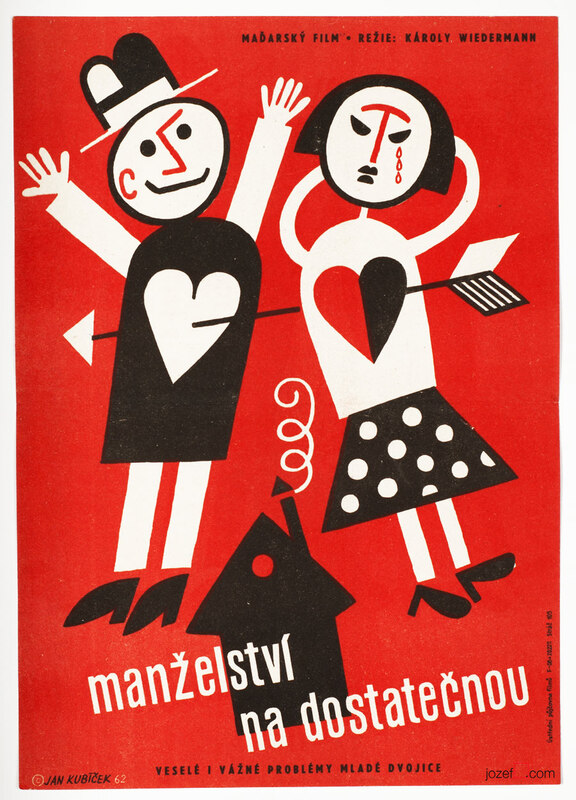 Memory of the Heart movie poster by Teodor Rotrekl, 1959. 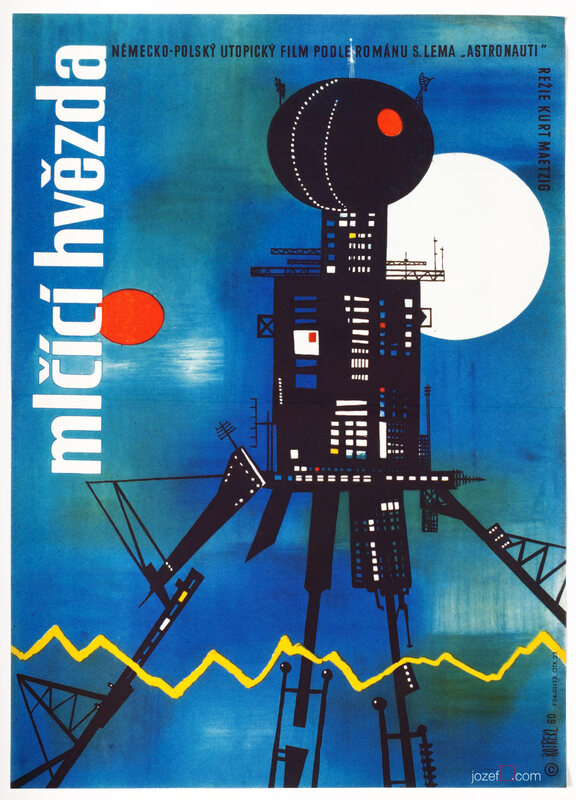 First Spaceship on Venus movie poster by Teodor Rotrekl, 1960. 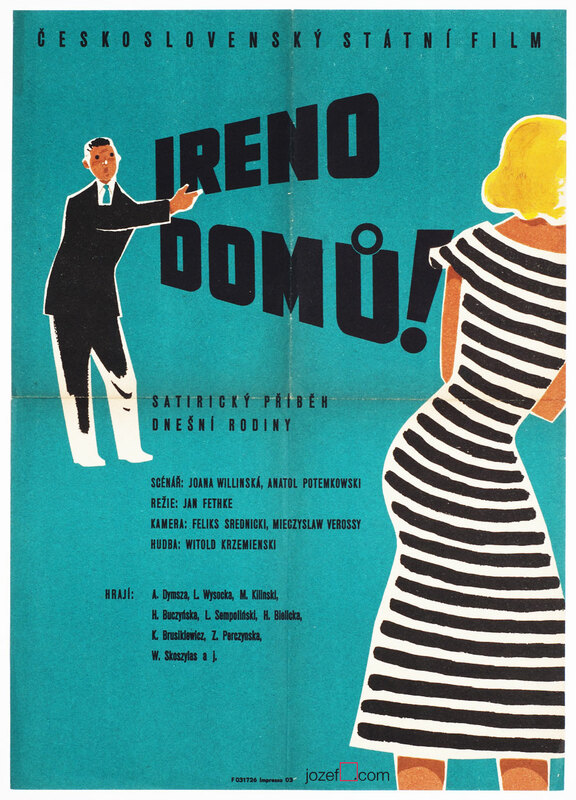 • another famous Czech sci-fi books illustrator Teodor Rotrekl designs several film posters. 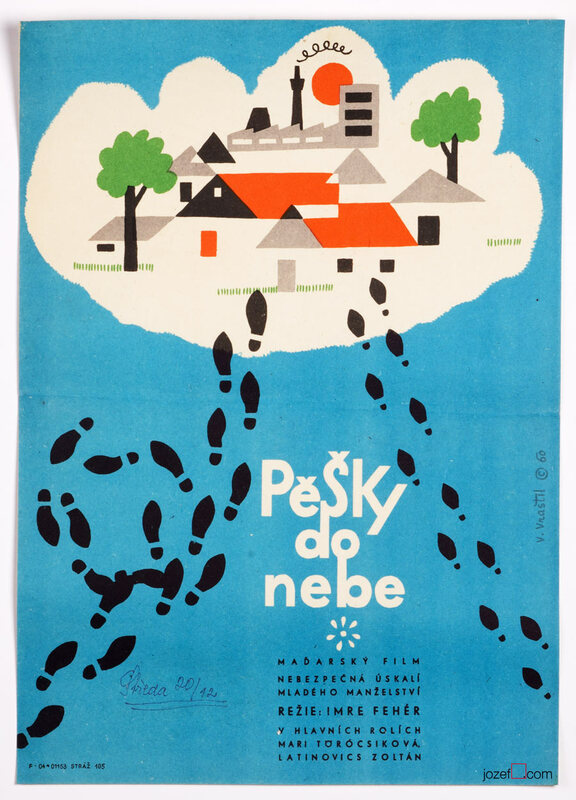 Walking to Heaven movie poster by Vladislav Vraštil, 1960. 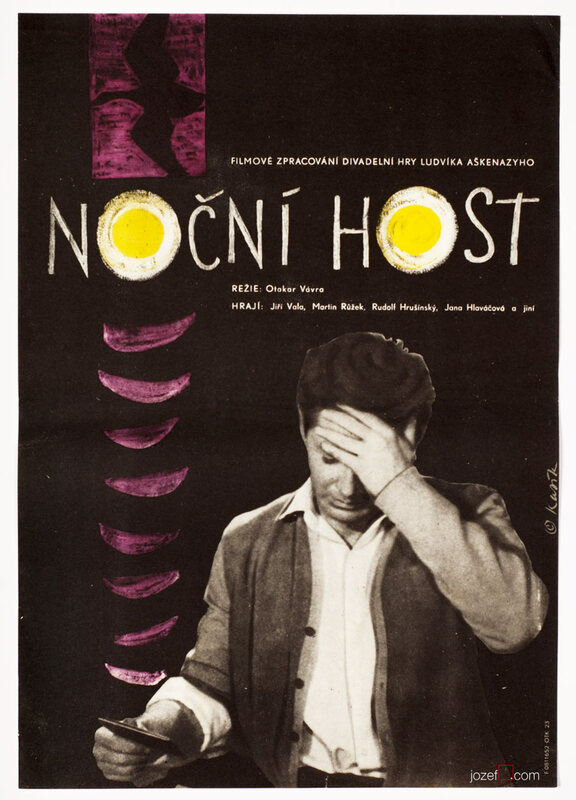 Night Guest movie poster by Václav Kasík, 1961. Censors in form of critics were very much responsible for the public picture. That could never lack enough sympathy for the comrades from the Soviet union / countries of Warszaw pact and on the other hand it had to be critical enough towards anything coming out from the west. In visual art weird symbols of the era were the most preferable. Motifs of smiling women standing behind the factory machine pretending they do enjoy the heavy work and at the same time they are equally helping in cultivating the nation. This and similar images, everyone possibly came across when they say Communism, were implied in every possible media and censors had to make sure there was enough of it visible. 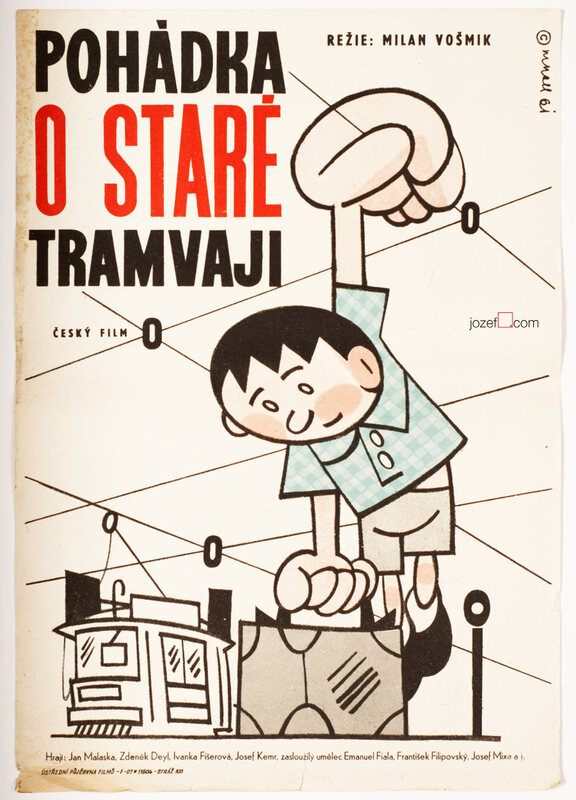 Tale of an Old Tram movie poster by Miloslav Noll, 1961. Man in Outer Space movie poster by Jan Kubíček, 1961. 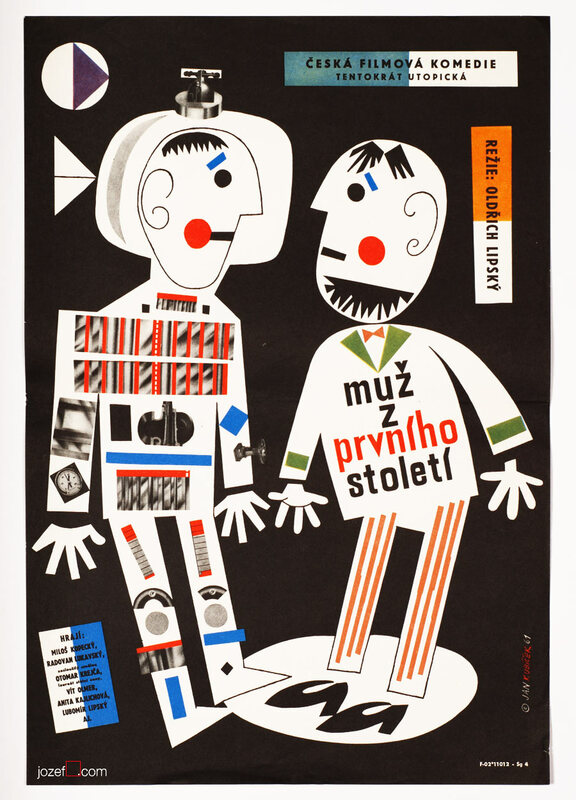 Two Men from Another World movie poster by Jan Kubíček, 1962. 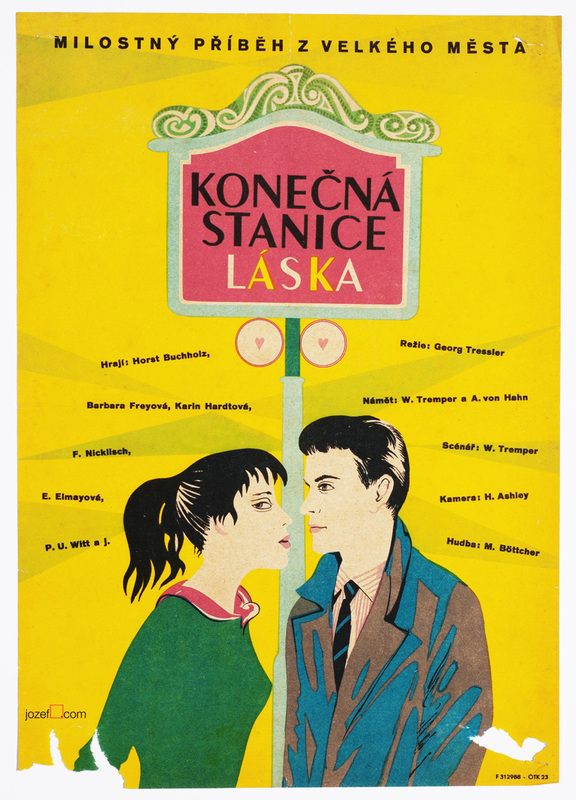 Satisfactory Marriage movie poster by Jan Kubíček, 1962. 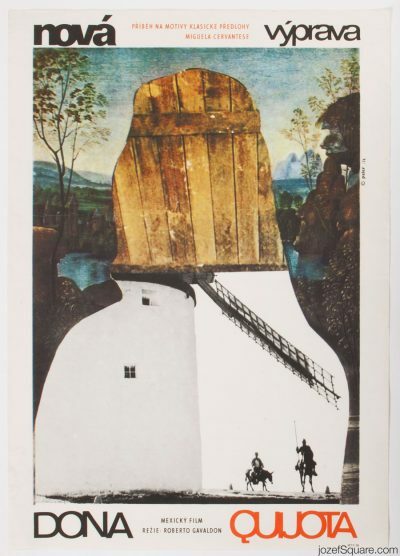 • playful illustrations and collages of Jan Kubíček were accompanying Czechoslovak film poster all the way to seventies. Hungry for Love movie poster by Unknown Artist, 1961. 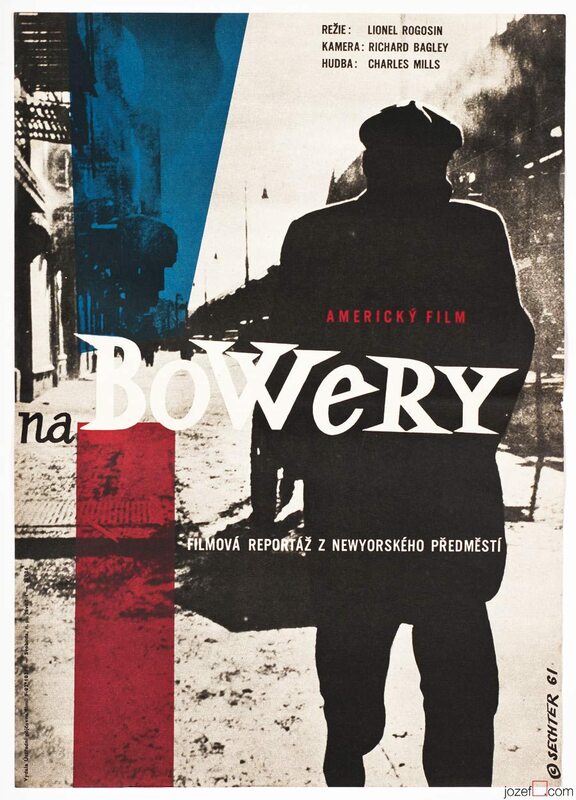 On the Bowery movie poster by Jan Sechter, 1961. • photograph stretches all across the poster. Thankfully not all of the art disciplines were destined for an extinction. 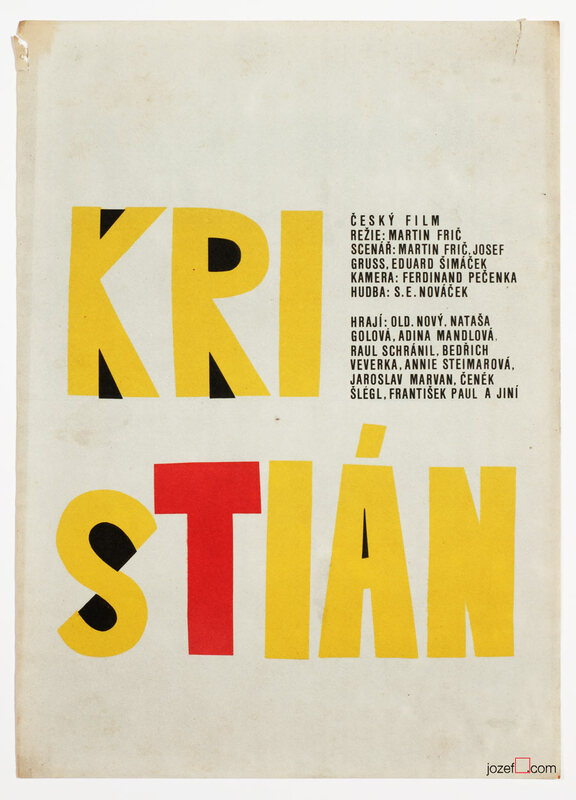 Illustration, animated films as well as film posters remained intact with only few slight obstacles.2 By the begging of 1960s several renown artists, graphic designers and illustrators such as Bedřich Dlouhý, Miloš Reindl, Richard Fremund, Zdeněk Palcr, Karel Teissig, Jaroslav Fišer were shaping up the future visuals of film posters. 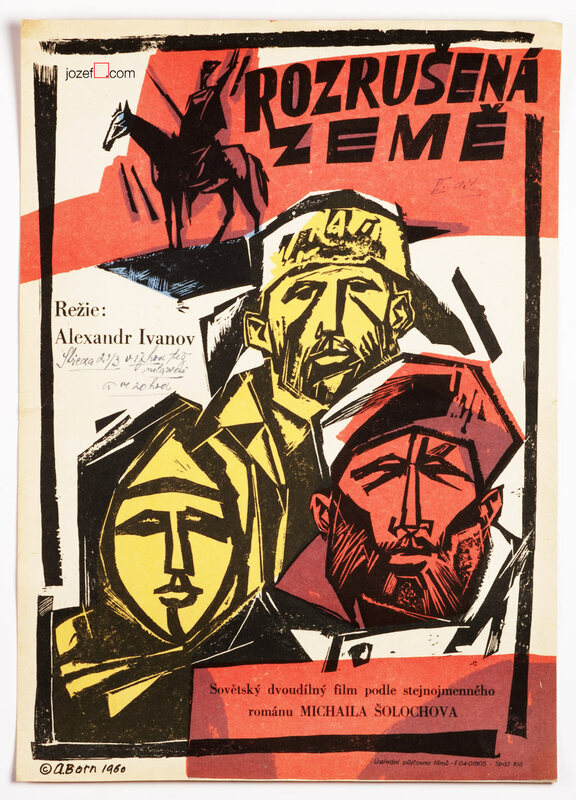 When award winning poster and graphic designer Zdeněk Ziegler meets the official film posters committee for the first time, he remembers his feelings were strongly in favour of his critics. The 400 Blows / Francois Truffaut, Catalogue view opposite side. 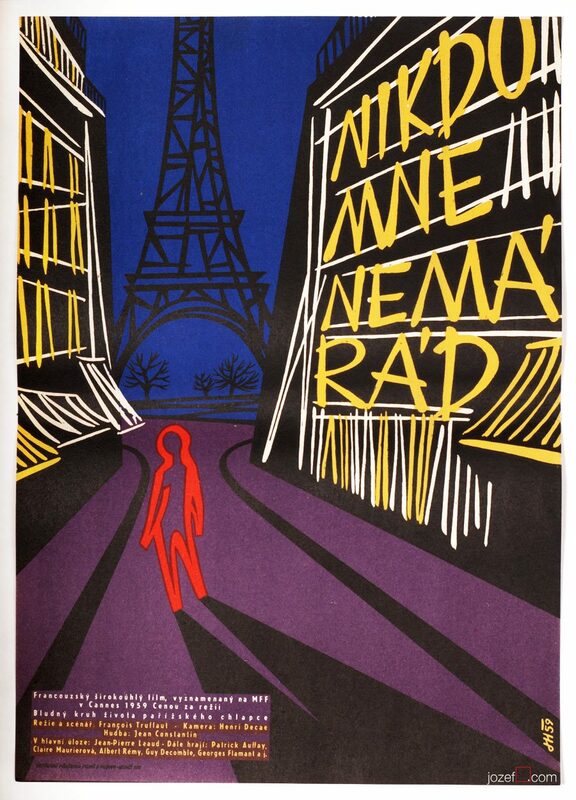 With increasing attendance at the international film festivals, film poster was also heading towards new directions. 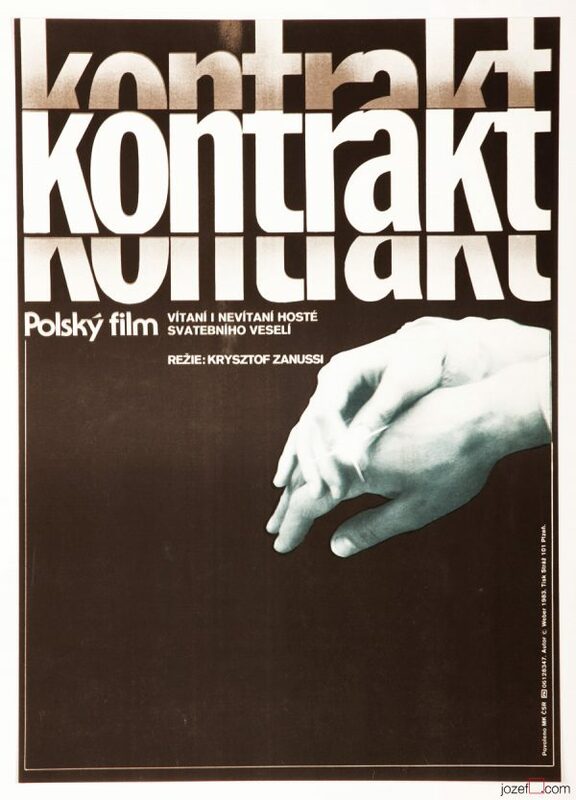 International success of movies created by Miloš Forman, Věra Chytilová, Jiří Menzel and other important directors of Czechoslovak New Wave, introduced Czechoslovak poster design to the foreign audience. 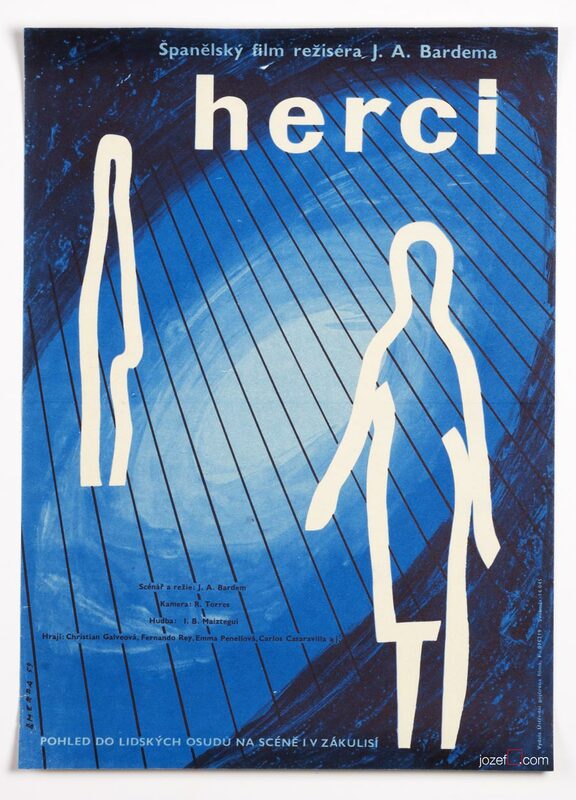 Film posters designed in 1960s were created by some of the best poster designers of the era and we will be exploring them in more details in our next post. 1. Enough currency was floating in the country. Czechoslovakia was one of the greatest business partners with the death at the time. Military industry was among the most popular and export was doing just fine. 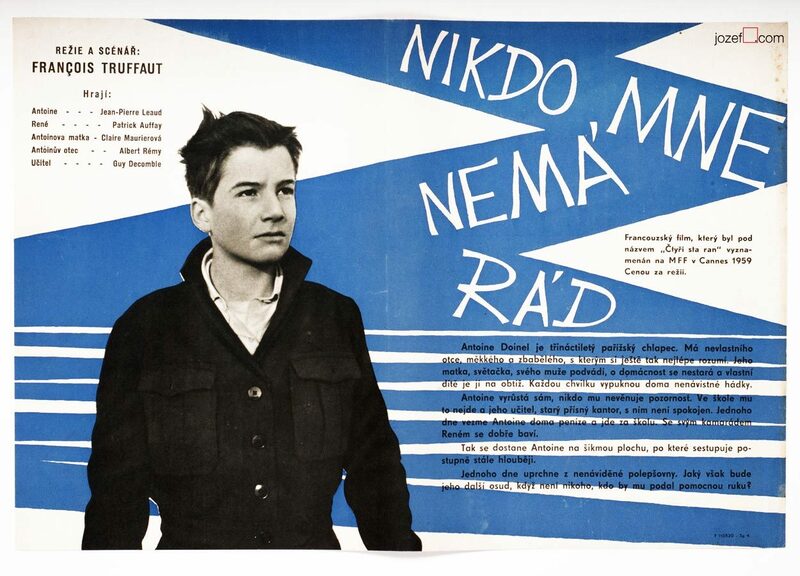 / 150 000 Slov – former exile magazine, X/91/27, p.3-5, Morálka musí počkat (Morale must wait), Inge Santnerová. 2. Vratislav Hlavatý for the Czech Radio Interview / 29.3.2013 (Several of his publications were banned throughout Communism). 3. Zdeněk Ziegler for the Czech Radio Interview / 15.5.2013. 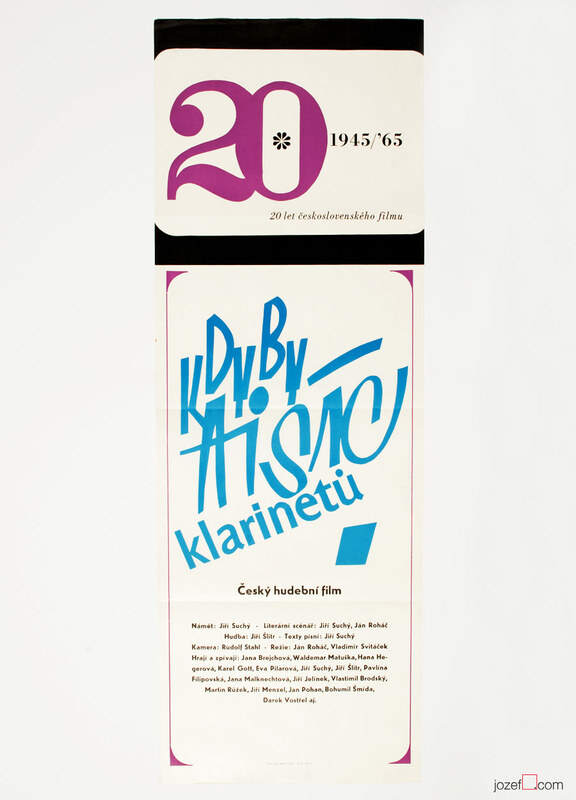 Flashback / Czech and Slovak Film Posters 1959-1989, ed. Libor Gronský, Marek Perůtka, Michal Soukup, Olomouc Museum of Art, 2004. Note: For shop and blog highlights SUBSCRIBE to our weekly newsletter.